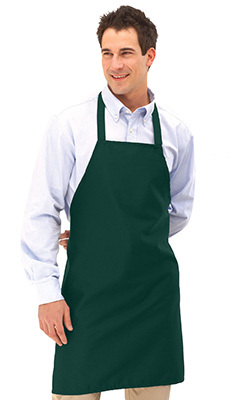 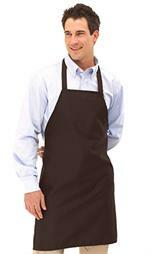 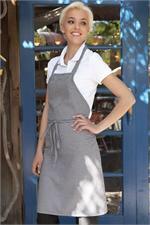 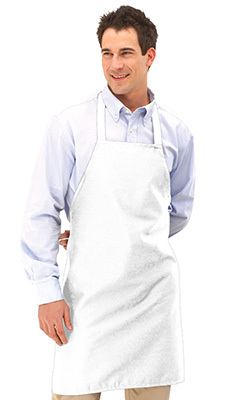 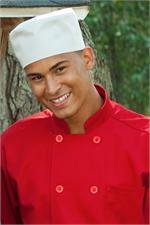 This classic bib apron provides full coverage at a very reasonable price and is the standard of the restaurant and promotional business. 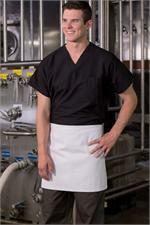 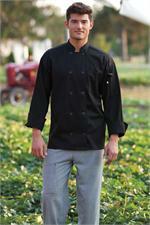 Made of 65/35 poly cotton twill and features durable 7.5 oz fabric, extra-long 40" ties and reinforced bar tacking. 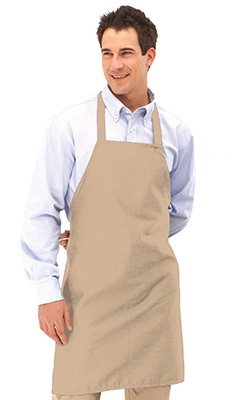 No pockets. 30"W x 34"L. One size fits all.